TNA receives 2012 DC Community Heritage Project grant! We are happy to announce that TNA’s short documentary project “Preserving Trinidad: Looking Through the Window of the Past; Opening the Door to the Future” is one of the recipients of the 2012 grants from the DC Community Heritage Project! 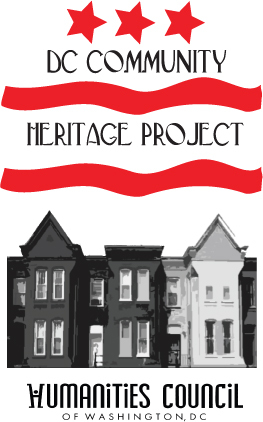 The DC Community Heritage Project is a program of the Humanities Council of Washington, DC. Be on the look out for the documentary’s premiere in November 2012! Right now, we are looking for residents of Trinidad, both past and present, who would like to be interviewed. If you are interested in volunteering and/or contributing your time, talent, and stories, please contact the project director (and TNA board member) Bernadine Okoro at eve_films@yahoo.com as soon as possible, and be sure to provide your contact information (email, phone, address) in your message so she can get in touch with you – the timeline for the project is short, and we want to be sure to include as many voices as possible. The Trinidad neighborhood is located in the northeast quadrant of Washington, DC. Primarily residential, it is bounded by Mt. Olivet Road, West Virginia Avenue, Florida Avenue, and Bladensburg Road. Though not officially designated a historic neighborhood, Trinidad was once home to a number of historically significant attractions, including the Washington Brick Machine Company, the American League Park, and the Florida Theatre. “Preserving Trinidad: Looking Through the Window of the Past; Opening the Door to the Future,” will explore Trinidad’s past, including its landscape and architecture. The documentary component will focus on stories of significant historical events told through the eyes of the residents of Trinidad. Posted on July 5, 2012, in Administrative and tagged grants, TNA, Trinidad history. Bookmark the permalink. 3 Comments.